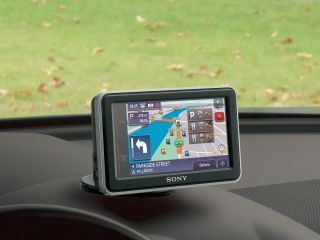 If your satnav told you to go and jump off a bridge, would you do it? Satellite navigation devices for vehicles have caused around 300,000 motorists to crash and over 1.5 million people to drive dangerously, according to a Direct Line survey. The results, which were published in the Mirror newspaper, (hence our terrible tabloid-esque 'mirror, signal manoeuvre' pun) found that one in 50 drivers – which the paper claims is 300,000 – said that their sat nav devices have caused or nearly caused an accident. If that wasn't enough to scare you, one in 10 drivers have been 'instructed' by their navigational device to make a dangerous or illegal turn. Speaking to the Mirror, Maggie Game of Direct Line offers the following sage piece of advice: "If a sat nav gives you an instruction that is likely to endanger other road users, ignore it." So, if you sat nav turns to you and demands that you mow down the little ol' lady on the pavement for 100 points, just say "no! ".